Exceptional cutting starts with exceptional control. 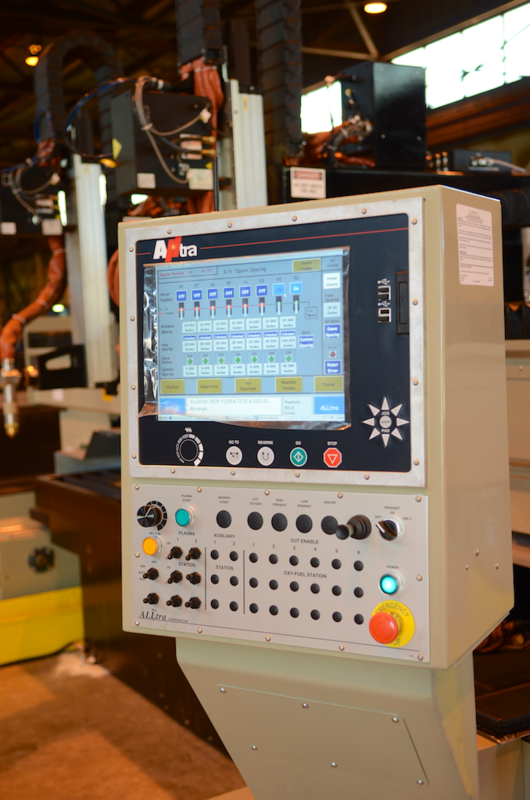 Building on the expertise of the world's leading CNC manufacturers, ALLtra expands on these technologies to provide our customers with greater process control, advanced service features and improved productivity. This splits the user interface from the motion control to ensure reliable and safe operation. Critical in harsh manufacturing environments, solid state hard drives eliminate the mechanical micro-sized parts in standard hard drives to provide dependable operation in the most extreme environments. When a problem arises, fast resolution is critical to your production. The ALLtra CNC has expanded and detailed diagnostics, allowing you to locate and resolve problems quickly. When production counts, you can count on the ALLtra CNC. Have questions about the ALLtra CNC? Please call us at 918-534-5100 or contact us to set an appointment with a representative of the sales department, and see what an ALLtra Corporation system can offer for your needs.